The Rule of St. Benedict, a book of precepts written 1,500 years ago by Benedict of Nursia for monks living communally, begins with that simple word: Listen. Listening is a good way to begin just about any venture, not just a book of precepts. What makes it so difficult to listen with the ear of our heart? Ego is the part of us that thinks we’re in charge of our identities, our lives, our fates. Left to its own devices, the ego thinks we’re in charge—or should be—of other people and of the universe itself. Ego is a little god, a tyrant, a spoiled child. Ego is about being in control. It requires constant vigilance and aggression, since so many things (our own inner conflicts), events, and people keep asserting themselves. And, because control is an illusion, the ego requires a great deal of denial. When we listen with the ear of our ego, we hear only what we want to hear and disregard the rest. We listen to confirm what we already know and believe and value, never allowing ourselves to learn something new, to be challenged, or to change. The heart (sometimes called the self or the soul) is the place where the intellect and emotions, thoughts and desires, dreams and aspirations, meet. It’s the wider, deeper self that can’t be strictly confined, that doesn’t define its individuality as different from and in opposition to others. When we listen with the heart, we let go of the pretense that we’re in charge of ourselves, must less of others. We let go of our agenda and expectations. And we open ourselves, well, to who knows what. We’re all busy. We’re always behind. So the natural response is to speed up. Many activities can be sped up, but listening isn’t one of them. The only way to hurry listening is to hurry other people—to interrupt them, to convey our impatience, to ask them to cut to the chase—which isn’t listening at all. To listen with the heart, we have to slow down. Because there’s so much to do and so little time, it’s no wonder that action gets such high marks. Just don’t sit there, we’re told, do something. Listening is, of course, doing something. Listening is an action, but it doesn’t look like it. It looks passive. To listen with the ear of the heart, we have to keep the ego at bay. We have to tune out distractions. And we have to pay attention to all the ways people communicate (by words and omissions, silence, facial expressions, gestures, posture). That’s all hard work, but it’s the antithesis of mindless action. To listen and incline the ear of the heart and who knows what you might learn, what other people might say, what might happen. 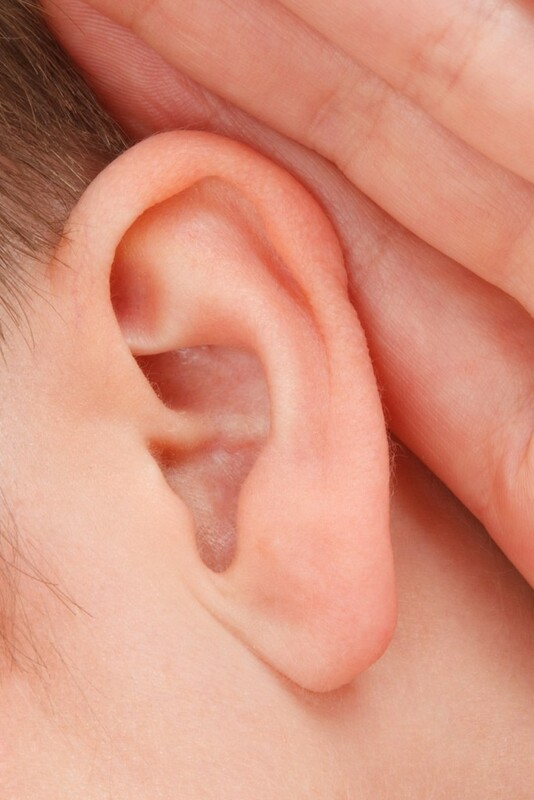 You can take the listening quiz and test your listening skills.